What exactly is bread of life? A small, white piece of unleavened bread? People of faith believe that this is nourishment for the soul. In receiving this bread we are engaged and involved in eternal life. But it’s not just bread. The bread of life is connected to the word of life. t times when Jesus gives food in the gospel, he is giving not only food for the body but food for the mind and the soul. He is ‘the way, truth and life’. So the overall celebration of the Eucharist is not just receiving Holy Communion, but also hearing the word of God. For centuries Catholics lost that link, kept by many of the Protestant churches. In fact, you could fulfil your Mass ‘obligation’ if you got there by the Offertory, thereby missing the readings (which were in Latin), and the homily! Let the word of God lead us to the bread of life. 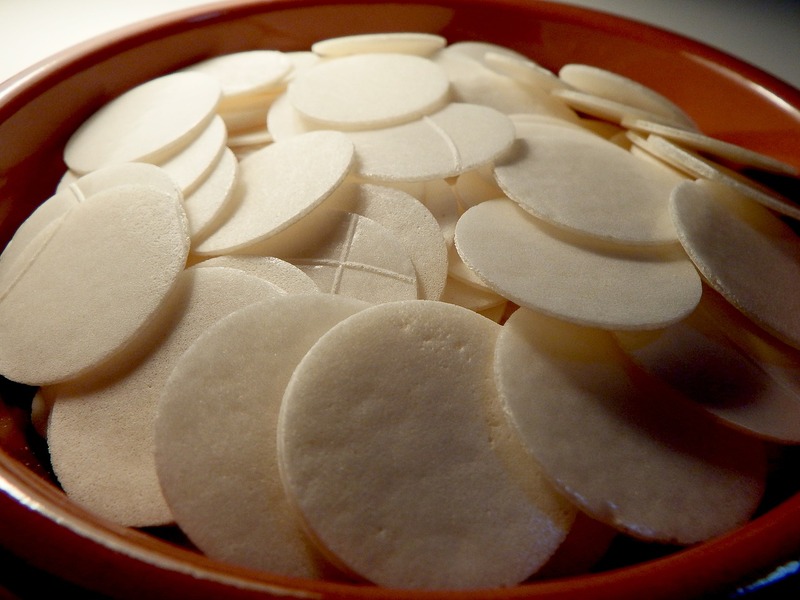 We may not be able, for many reasons, to receive each day the bread of Holy Communion, but we can read the word of God, preparing us to receive the message of Christ in communion. This is not in any way to downgrade the Eucharist or the wonderful custom of daily Mass, but to enlarge our appreciation of the presence of the Lord. Jesus is present when his word is read, and the bread is consecrated. Give thanks! Give us this day O Lord our daily bread! This entry was posted in Gospel of John, Gospel Reflection, Liturgy Resources, Prayer Resources, Scripture, Year B and tagged August 19th 2018, Donal Neary SJ, Eucharist, Gospel Reflection, Gospel Reflection for 20th Sunday Ordinary Time, Jesus, John 6:51-58, Year B.